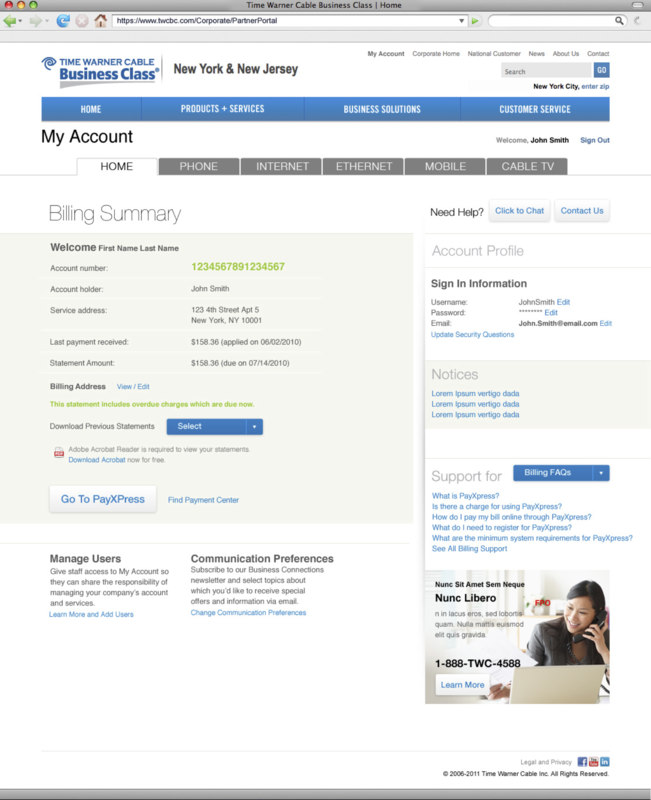 In the efforts of their rebrand, we worked with Time Warner Cable Business class to update their post-login experience where users can pay bills, review their service, request a call from a sales person and much more. With the redesign all tiers of products were brought together to create an easier user experience without having to call Customer Support. As the main Sr. PM in the account for the Business Class clients, I worked with all disciplines to create User Stories, User Journeys, Wireframes, Designs and a styleguide that was handed off to the client-side development. Since timing was tight and there were many stakeholders, we moved in sprints in an Agile methodology where UX and Design worked in parallel.